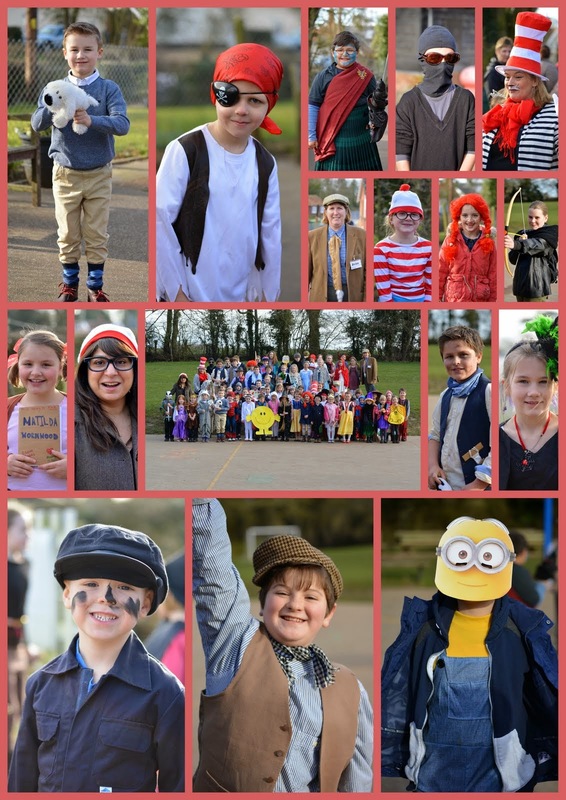 Today we celebrated World Book Day as part of our Book Week in school. Everyone was asked to dress up as a character from their favourite book and we saw some fantastic costumes. Can you work out who everyone is? In Blue Class this week we have looked at a different story extract each day. 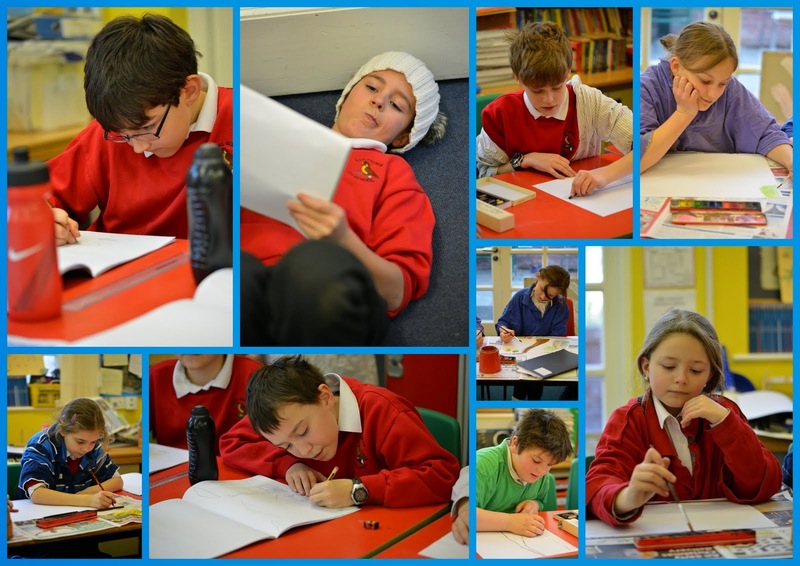 We began the week with The Hobbit, where we did some role play as Bilbo Baggins and Gollum. We then read from The Phantom Tolbooth and produced some artwork inspired by the settings in the story. 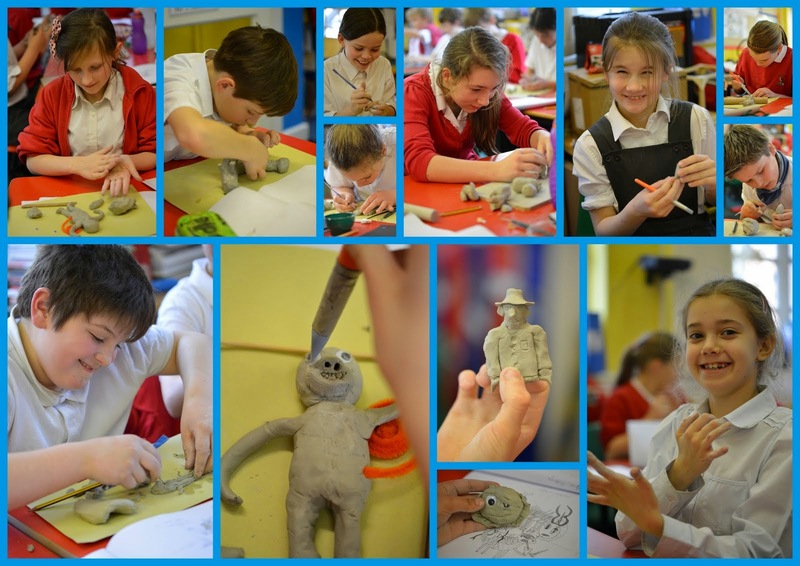 On Wednesday we read from Dr Dolittle and sculpted some of the characters from clay, including the very rare pushmi-pullyu. And today we read an extract from The Borrowers and designed our own board games based on the story. Tomorrow, we'll be finishing off our work from the week and hopefully adding some paint to our clay sculptures (if they are dry enough!). What is your favourite moment from a book? Leave us a comment below and tell us all about why you like it. One final challenge: where's Wally?